Paul Tisdale says his MK Dons squad need to learn how to win League 2 football after a disastrous 3-1 defeat at his former club Exeter City on Saturday. Two goals down after 17 minutes at St James Park, Dons barely threatened in an 'inept' opening 45 minutes. A Tisdale rocket at the break saw Dons emerge the better side for the first 20 minutes of the second half, with Joe Walsh pulling one back, but the Welshman went from hero to villain when his mix-up with Lee Nicholls conspired to let Nicky Law bag his second and Exeter's decisive third. Dons have not won on the road since November 3. 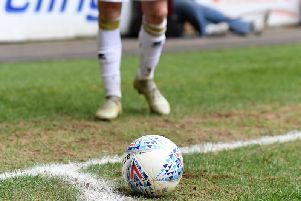 Struggles on the road have seen Dons slip from second to sixth in League 2, and the manager has questioned whether his side know how to win ugly, in League 2 style. He said: "They can't look to me for every answer, let's be honest. What did they expect?! I cannot predict 96 minutes of football. We've had clues away at Stevenage, away at Grimsby, this is not playing at Stadium MK. "To get out of League 2, we have to win League 2 football matches. Away from home, in December, January, February, you have to understand the circumstances, the conditions, the opposition. What did they expect? Did they expect it to be a football match? They had a lesson today about League 2 football matches, in poor conditions for football against a team who knew what they were doing. "It wasn't about that calamitous goal – I can't do anything about that. They have to do their job. "It was a poor day. I'm not sure what our lads expected in the first 20 minutes to be honest. "I had a moment today to contribute and I did at half time when we did something about our ineptitude in that first half. I like to think I did my bit at half time, but that capitulated with a dreadful error for their third goal. "For the first time today, we looked like we had a but about us to get back into the game, and we haven't done that for a while. But it's winter football, low sun, very little opportunity to play football. I just don't know what our players expected. They have to get a lot more streetwise. It's not like we didn't speak about it or go through it. They will have to learn quickly. "We're in League 2. There are dreadful conditions to play football, we have to adjust to that very quickly That first 20 minutes – to say it was poor would be an understatement."